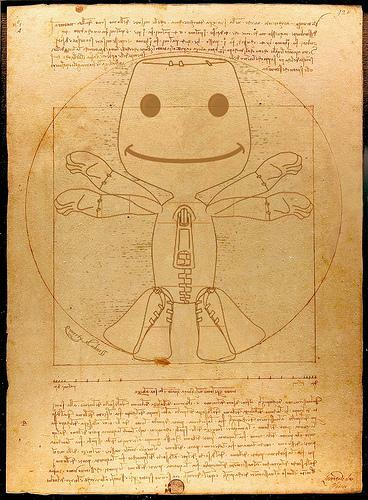 When Leonardo da Vinci drew the Vitruvian Man, he had no idea that someone would create a similar drawing for Sackboy. Sackboy’s legs have been similarly drawn apart, and comes with two superimposed positions. Just like the original Vitruvian Man, the Vitruvian Sackboy has both his arms and legs drawn apart and a circle and a square are simultaneously inscribed. The original drawing was significant because it exposed the intricacies between science and art and the spirit of inquiry which was the hallmark of renaissance movement. 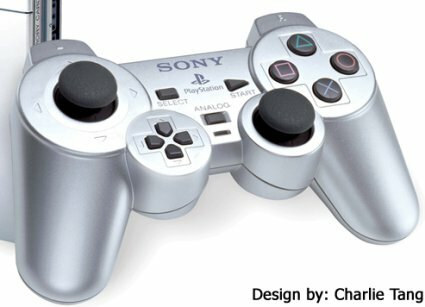 There seems to be a modern form of renaissance where people have begun to question the ordinary and traditional forms of entertainment and even older video games, and thus started to see new light and hope in the form of Little Big Planet and such other cool geeky games. Perhaps the modern renaissance is all about the blend of geek and non-geek in 21st century. This Vitruvian Sackboy was uploaded by Gamergates who claims that it was recently uncovered at the Academia in Venice. The tale is certainly tall, but many hundred years later, this Vitruvian Sackboy will stand as testimony to the culture of Video games and Little Big Planet. If you would like a less permanent way to glorify him, you should get yourself the Sackboy Tattoo, which would be destroyed along with your body once you pass away. Sackboy art, costumes and other memorabilia have become so priceless that we had also reported the Sackboy Costume Theft sometime ago. Indeed, one should be blessed to be living during the reign of Sackboy, the catalyst of a new Renaissance.